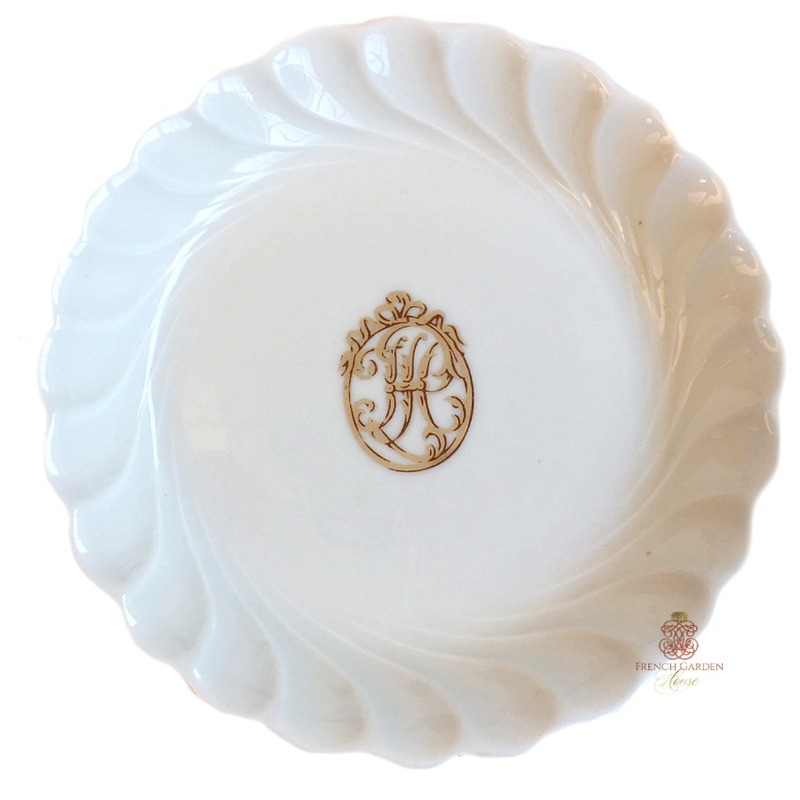 This porcelain Tip Dish was made especially for the New York Hotel, by Limoges, France, in the 1980's. Can also be used as a pin dish, or to keep your Cartier watch and diamonds and pearls safe on your night stand overnight. The edge is fluted and the hotel's elegant French gilt logo with their monogram in a frame with a ribbon bow is in the center. A beautiful addition to your hotel collection.